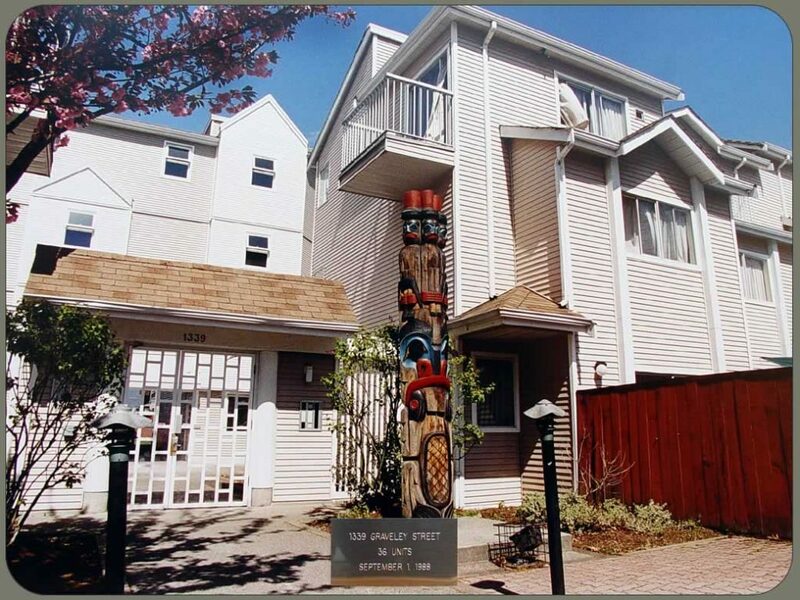 A 3 Storey single and family Townhouse-Apartment dwelling containing 36 units designated for persons of Indigenous ancestry only. This project opened on July 1, 1985. Major building renovations were made in 1999/2000. Close to amenities, major bus routes, and schools. 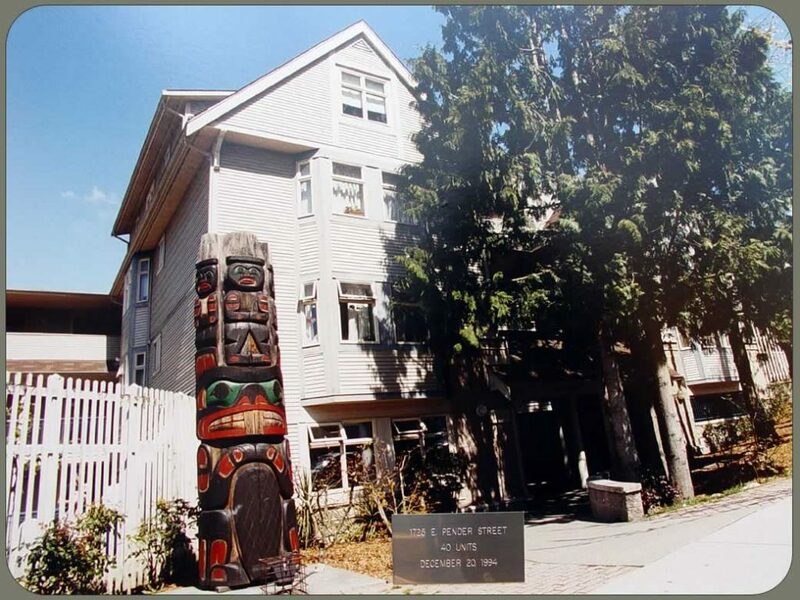 A 3 Storey single and family Townhouse-Apartment dwelling containing 25 units, designated for persons of Indigenous ancestry only. Several of the units offer a panoramic view of the North Shore mountains and the downtown skyline. Building was opened August 1, 1985. Close to amenities, major bus routes, and schools. This building is currently under construction due to a fire in December 2017. 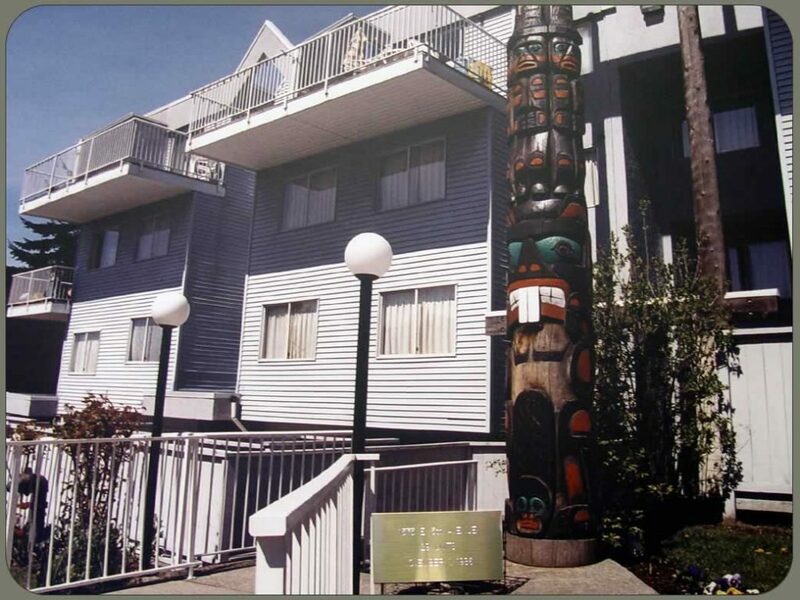 A 3 Storey single and family Apartment dwelling containing 27 units, designated for persons of Indigenous ancestry only. Building opened March 1, 1986. Close to amenities, major bus routes, and schools. 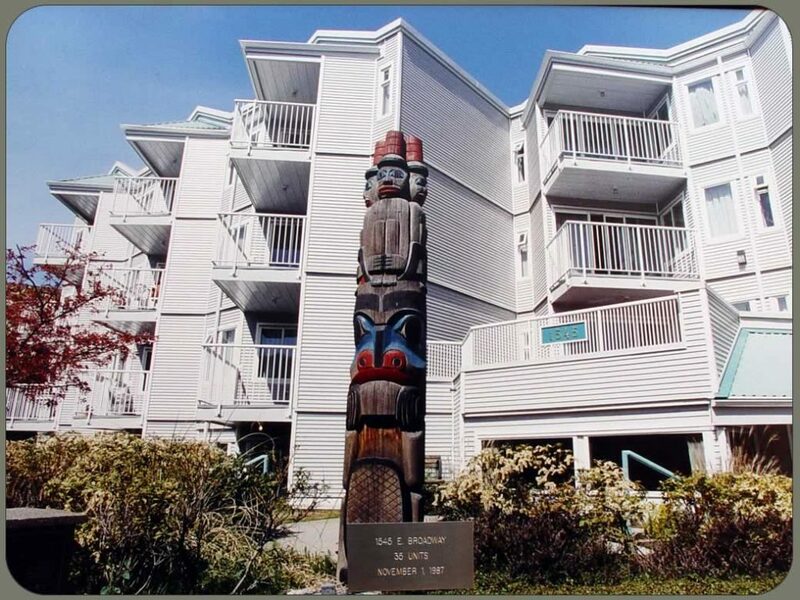 A 3 Storey single and family Townhouse/Apartment dwelling containing 29 units, designated for persons of Indigenous ancestry only. Building opened on November 1, 1986. Close to amenities, major bus routes, and schools. 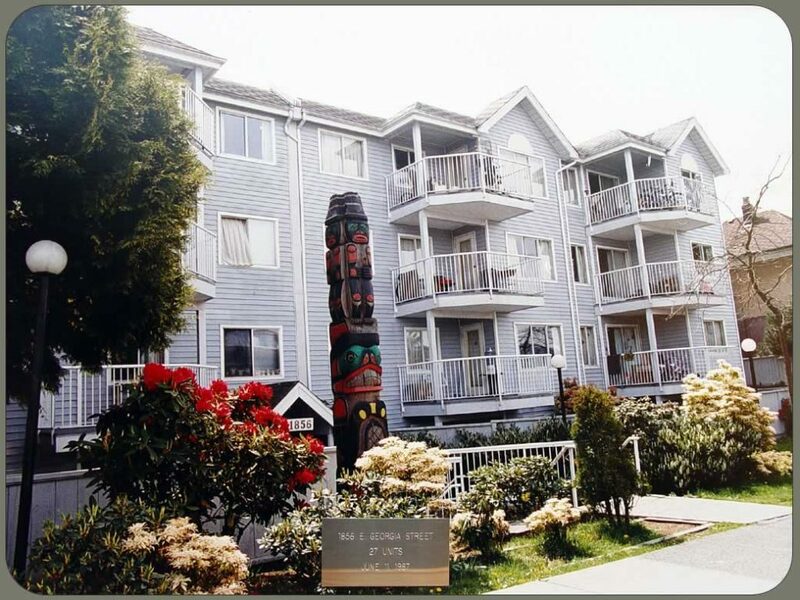 A 3 Storey single and family Apartment dwelling containing 27 units, designated for persons of Indigenous ancestry only. Building opened June 11, 1987. Close to schools, major bus routes, and amenities. 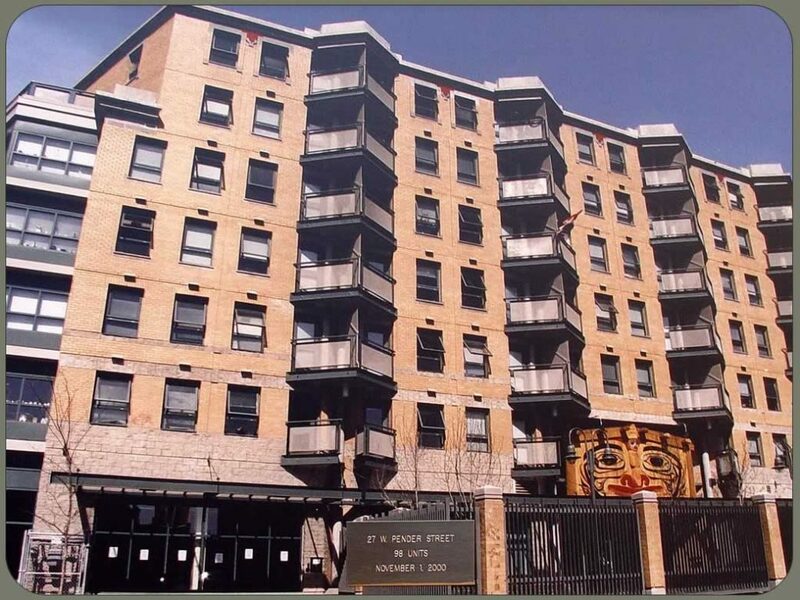 A 3 Story Apartment dwelling for Senior Citizens requiring support services including one hot meal each day, housekeeping services and emergency response. Close to amenities and major bus routes. Building opened November 1, 1987. 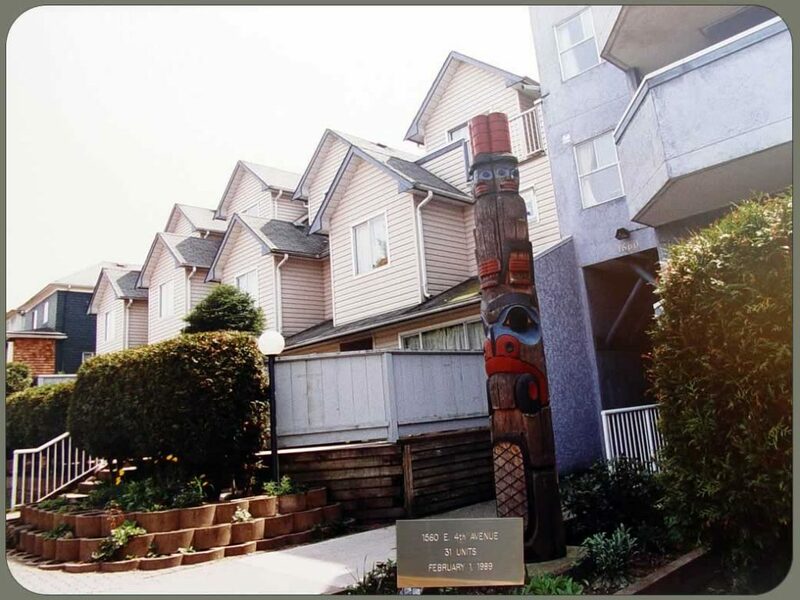 A 3 Storey single and family Apartment dwelling containing 18 units, designated for persons of Indigenous ancestry only. Close to schools, major bus routes, and amenities. Building opened November 1, 1987. A 4 Storey single and family Apartment plus Row Townhouses containing 36 units, designated for persons of Indigenous ancestry only. Close to schools, major bus routes, and amenities. Building opened September 1, 1988. A 3 Storey single and family Apartment plus Row Townhouses containing 31 units, designated for persons of Indigenous ancestry only. Close to schools, major bus routes, and amenities. Building opened February 1, 1989. 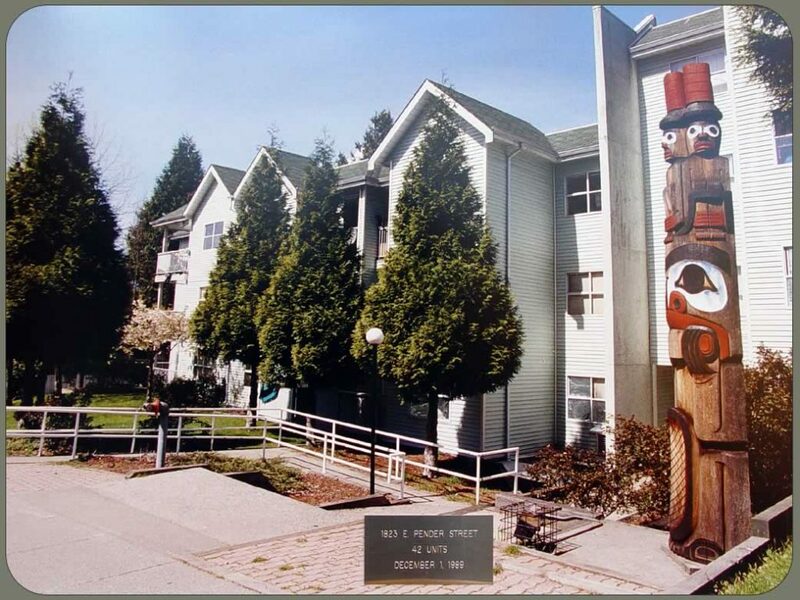 A 4 Storey single and family Apartment dwelling containing 42 units, designated for persons of Indigenous ancestry only. Close to schools, major bus routes, and amenities. Building opened December 1, 1989. 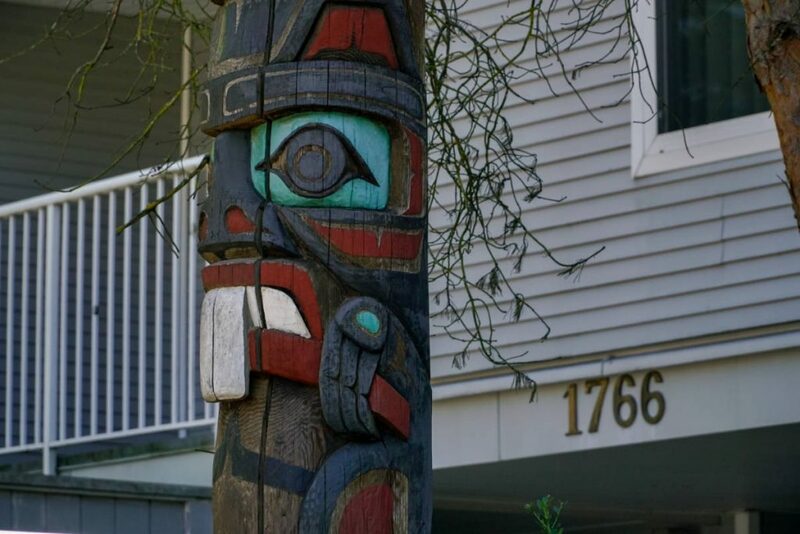 A 4-storey single and family apartment and townhouse dwelling containing 40 units, designated for persons of Indigenous ancestry only. All suites have individual balconies and hot water tanks. As one of our bigger buildings, it has two amenity rooms with one outside BBQ pit accompanied by a play area for children. Close to schools, major bus routes, and amenities. Building opened December 20, 1989 . 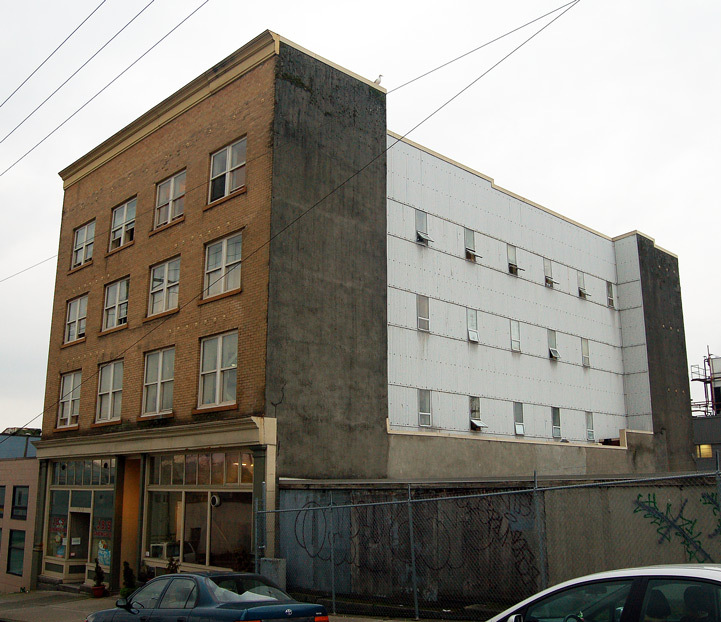 A singles-only Apartment dwelling in the Downtown Eastside. Operating under the Low Income Urban Singles Program. 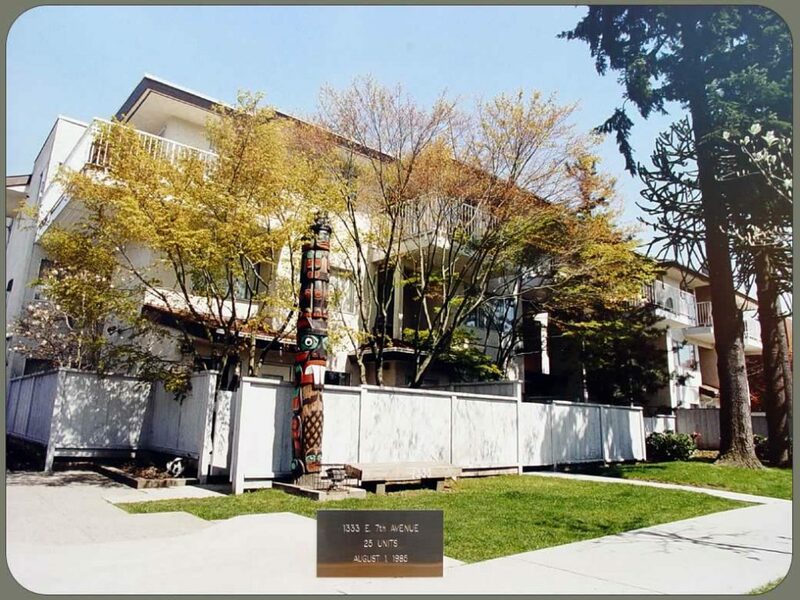 Close to amenities, major bus routes and Sky-train. Building opened November 1, 2000. A recipient of a major Architectural design award. A 4 Storey singles-only Apartment dwelling containing 38 bachelor units. Developed under the Low Income Urban Singles Program and managed in partnership with Metro Vancouver Housing Society (MVHC). Close to schools, major bus routes, and amenities. Building opened November 1, 2001. This single room occupancy hotel provides supportive housing exclusively to women who are connected with mental health services in the community. Residents are selected in collaboration with service providers. 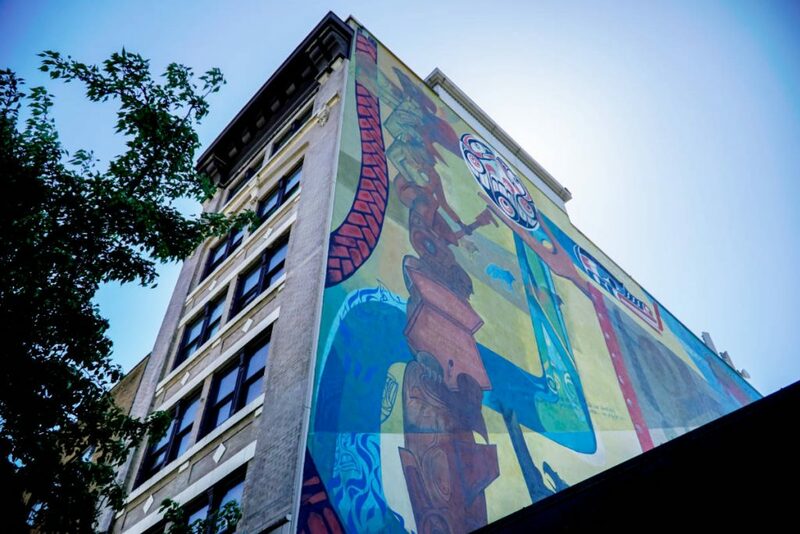 There are 54 single rooms in this heritage building located in Vancouver’s Downtown East Side. VNHS provides supportive housing staffed 24/7 to ensure safety and security for residents who have been homeless before moving here. 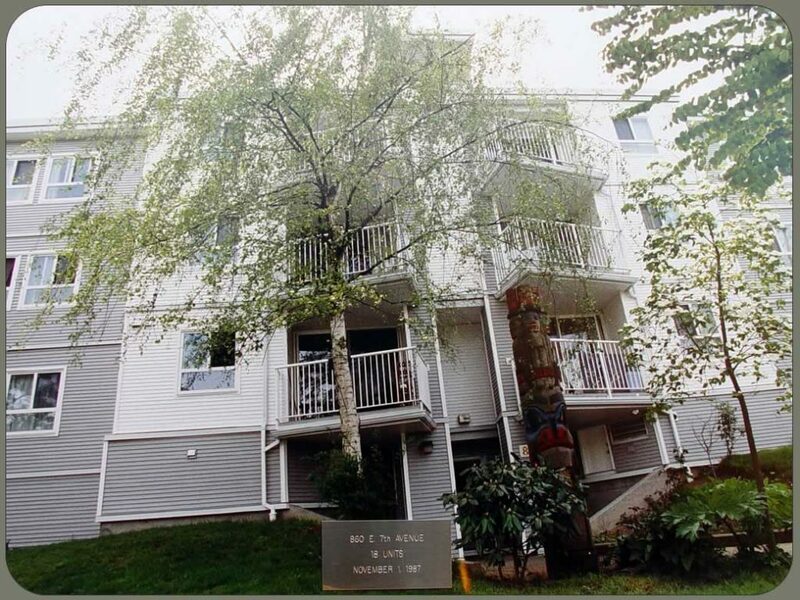 Residents are selected through the BC Housing Supportive Housing Registry. 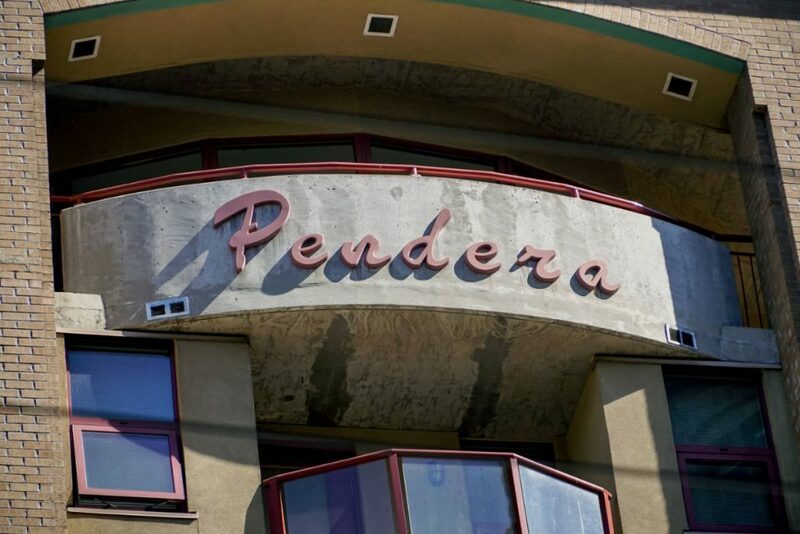 VNHS took on the management of this 114-unit singles only apartment building in 2011. Built in 1989, the housing was original developed and managed by the DERA Housing Society until the society was dissolved in 2010. 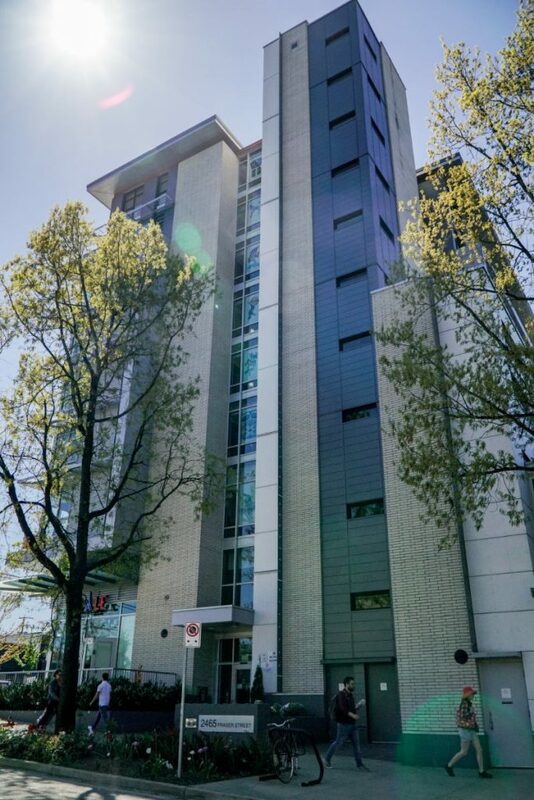 Tenants are selected for this building through the BC Housing Registry. 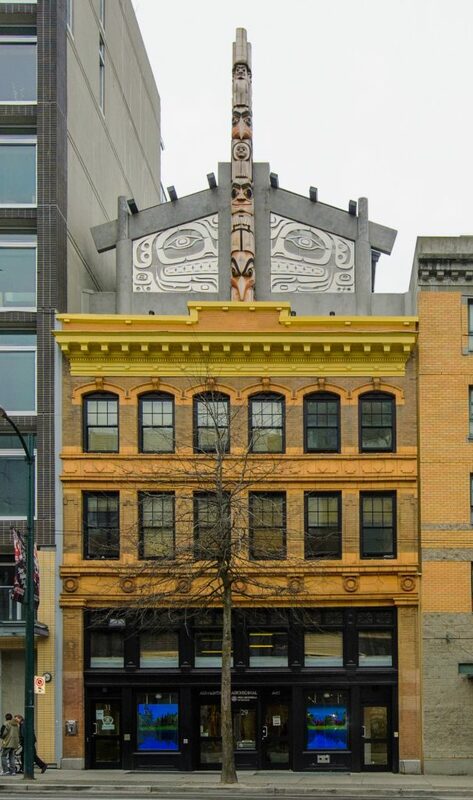 Completed in 2012, the building contains 24 self-contained residential units for Indigenous artists in our Artist in Residence Program, as well as the Urban Aboriginal Art Gallery and the Skwachays Lodge, both social enterprises. Opened in December 2014, Kwayatsut is our newest supportive housing building. 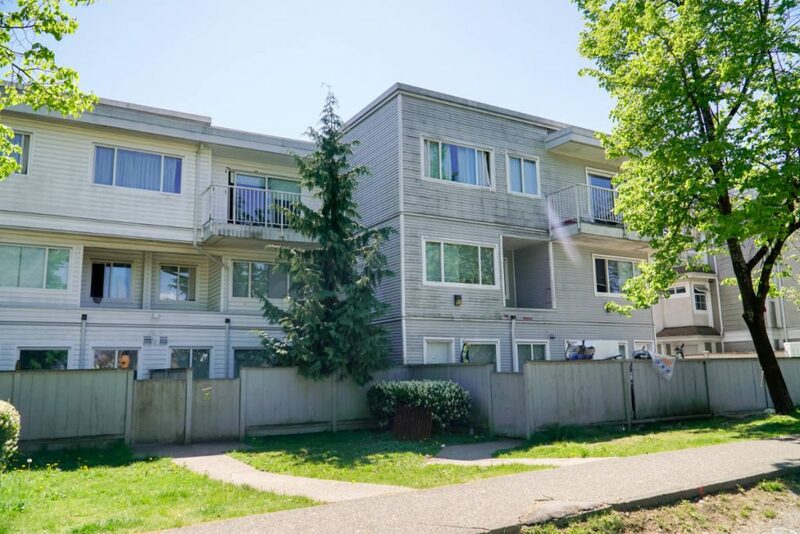 Providing 73 single adults units, as well as 30 units dedicated to a supportive youth housing program in collaboration with the Pacific Community Resources Society. 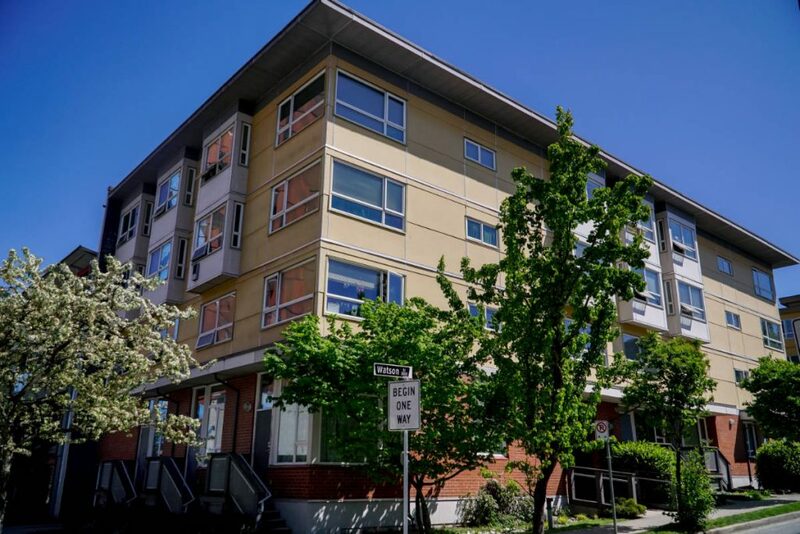 Our state of the art LEED (Leadership in Energy and Environmental Design) building is a leader in providing supportive housing to low-income individuals that face multiple barriers and are homeless or at risk of homelessness.